Can you guess why 37 is my magic number? Well, let me tell you. As of the time I am writing this post, that is how many school days are left until summer. Crazy! Unreal! Pressure is on. Time to run around like the tasmanian devil trying to get everything done! That is why the blog has been a bit quiet. It’s busy and a bit stressful, but still fun! I have began to think about what to give my kiddos for an end of year gift. 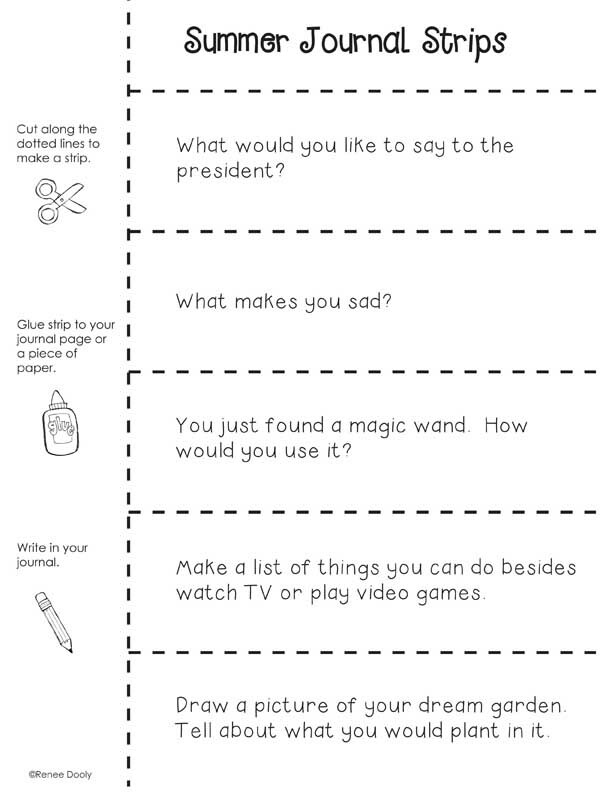 I see so many cute ideas on Pinterest, but I want to give them something that will also help them keep up some of their skills they learned this past year. So this is what I came up with. This past Christmas I gave them a journal with some journal strip and they loved them. So did their parents. Many of my firsties brought in their journals and shared what they wrote. I thought that I would make up some for the summer. 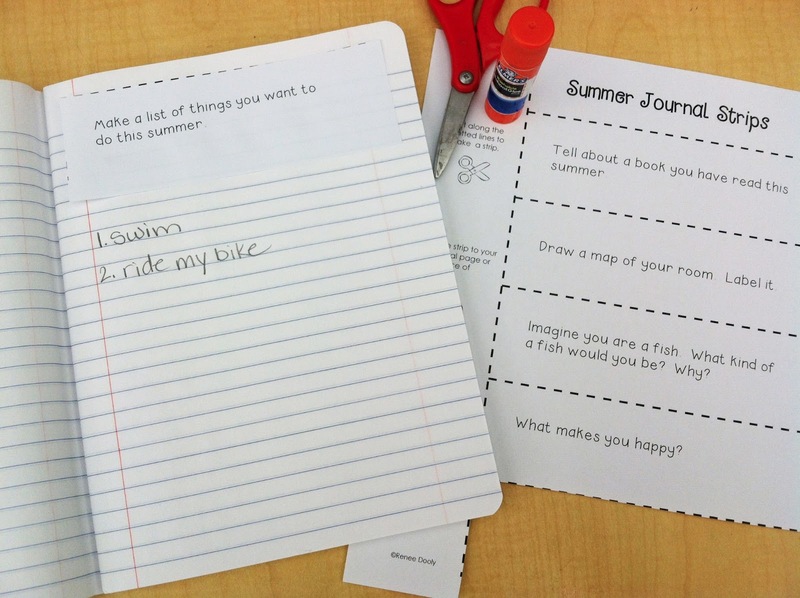 I will encourage them to bring their journals back in the fall and show me what they wrote. Luckily I stocked up on composition books during the back-to-school season. These are cut apart strips, so they can choose what prompt they want to write about, cut it out, glue it down and then write and draw away. Here is an example. I thought that I would also include a fun pencil and a new pack of crayons. A fun and cheaper end of the year gift. Here is a sample page. What do you give for end of the year gifts? I would love to hear your ideas. 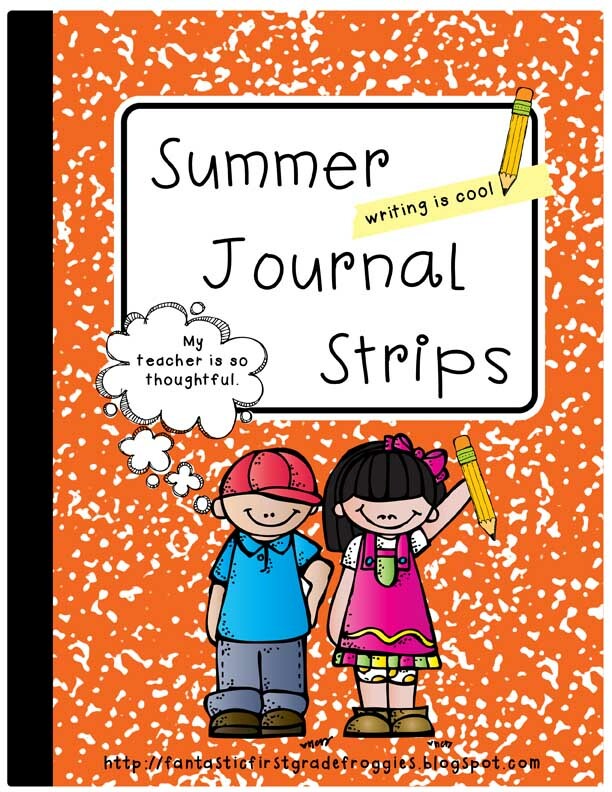 If you are interested in the summer journal pack, click the picture below. Well, I am off to a school evening event. How many more days of school do you have left? That is a super cute end of the year gift! I usually have the kids write one adjective about one another and then I create Wordles with them. I put each kids name in the center, the adjectives around it and put it in a frame from the dollar store. They LOVE it! Thanks for sharing your cute idea.